Thomas Bourque is a local attorney running for a six-year term as 14A District Court Judge. On Nov. 6 he faces J. Cedric Simpson, who has served in that position since 1999. Bourque is a partner with the Ann Arbor law firm Eby Conner Smillie & Bourque PLLC. His practice areas include commercial litigation, family law, real estate litigation, personal injury, employment law, and landlord/tenant law. In 2011, Bourque applied for a vacancy on the 15th District Court following the resignation of Judge Julie Creal. Republican Gov. Rick Snyder ultimately appointed Joe Burke to fill that seat. The following year, Snyder appointed Bourque to serve on the state's Military Appeals Tribunal. In 2005, Bourque ran as a Republican for a seat representing Ward 2 on the Ann Arbor City Council. He was narrowly defeated by Stephen Rapundalo, getting 47.6% of votes cast. From 1992-1999 Bourque was an attorney with Conlin, McKenney & Philbrick PC in Ann Arbor. He has served in leadership positions on several local nonprofit boards, including the Ann Arbor Public Schools Educational Foundation, the Ann Arbor YMCA and the Burns Park Players. He is an avid runner and has competed in multiple Boston Marathons. 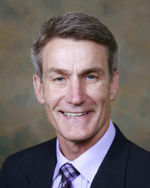 Bourque received a bachelor's degree in history and political science from Miami University and a law degree from the University of Michigan. He is married to Debbie Bourque. They have two grown children. Eric Lindstrom is serving as Bourque's campaign treasurer.